Say hello to productivity: Take charge of your tasks with the easy-to-use 2.2-inch (5.5 cm) display—simply touch and go. Use the automatic document feeder to quickly tackle multipage jobs. Automatic two-sided printing saves paper. Print borderless, lab-quality photos and laser-quality documents right in your home. Perfect for your home—and home office: Save your space with a sleek all-in-one designed to fit where you need it. Print in any room you choose—without causing disruptions—using the optional quiet mode. Access menu planners, news reports, recipes, and more with free HP Printables—delivered on your schedule. This 5 Dollar prepaid card will facilitate the setup of an Instant Ink account. 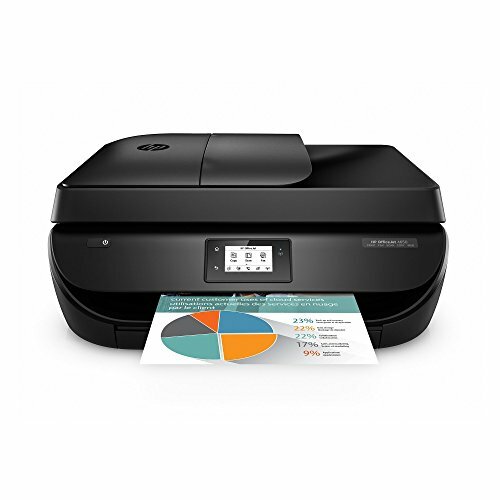 Card is not required for account set up, but is a convenient way to get started on HP Instant Ink.